The US has announced new proposed provisions for highly skilled workers already in the US. One of these provisions is a regulation to provide work permits to spouses of skilled workers working in the US, who are not already US immigrants. 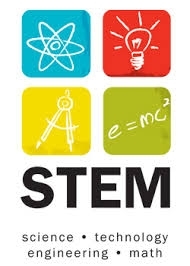 The US administration has stated that these provisions are intended to retain alien STEM (Science, Technology, Engineering and Mathematics) talent within the country, who would otherwise leave it (the US). The administration’s spokesperson Commerce Secretary Penny Pritzker, stated that the aliens who study and obtain advanced skills in STEM and related disciplines have to be welcomed. She added that instead, rules and regulations have been set up or are being passed in such a way that a majority of these talented persons are forced to wait for an indefinite and long time to be able to get immigration status. One of the proposed rules is that spouses of H1-B visa holders (who are typically STEM workers) will be allowed to work in jobs, even as their spouses’ permanent residency visa is being processed. As per the current rules, the spouses are not allowed to work. The second regulation that is being proposed would enable the employers a broad scope/field of methods to document that the alien workers that they are intending to hire/employ are the best in their fields or, that they are the only ones available in the job market to fill their company’s open positions. The two regulations would be effective after a time gap or duration of 60 days (public comment period). The spokesperson, Ms. Pritzker also cited various facts and statistics such as immigrants and alien workers having started many new enterprises and launched companies which went on to become very big companies and employers. But, there is/was some bitter opposition to the proposed regulations as well. Thus, one Republican law maker described the proposed rules as those which will flood the already weak employment scenario with aliens who will get preference, because they work for lower wages, while native US workers would suffer.